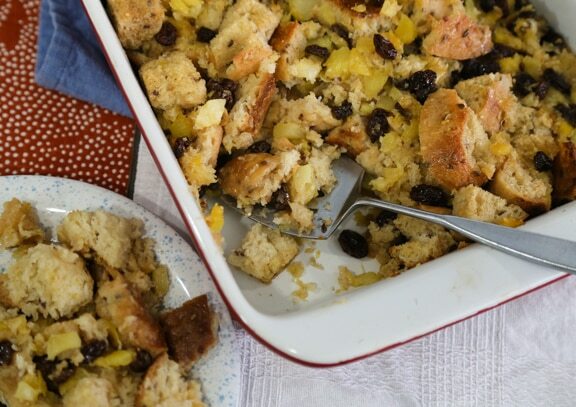 Bread pudding made with pineapple and raisins, and fragrant with vanilla, makes a warm, satisfying dessert after a cool-weather meal, or a comforting treat to have with tea. 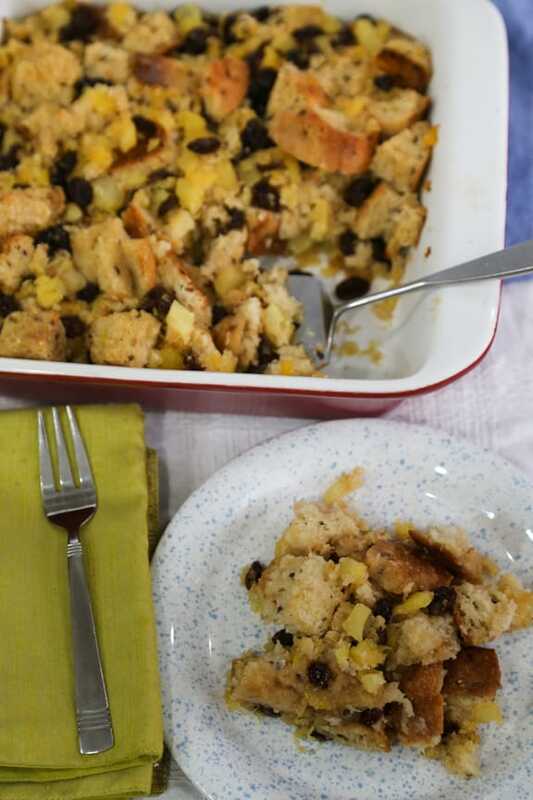 Leftovers are great to pack into a small container to take to work or school the next day. Photos by Evan Atlas. Combine the pineapple, almond milk, and bread in a mixing bowl. Stir together and let stand 10 minutes. Stir in the remaining ingredients. Pour the mixture into a lightly oiled 9- by 9-inch baking pan. For the glaze, melt the Earth Balance in a small skillet. Stir in the vanilla and syrup or agave. Spoon evenly over the top of the pudding. Bake for 35 to 40 minutes, or until the top is golden brown and beginning to turn crusty. Serve warm. Note: When fresh pineapple is in season, by all means use it! Place chunks of peeled pineapple in the food processor and pulse on and off until evenly crushed. 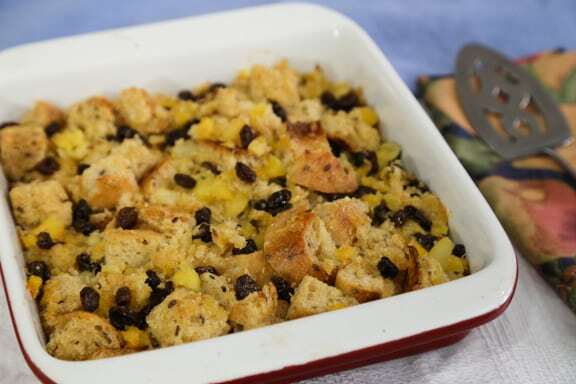 Use about a cup and a half of crushed pineapple for the recipe.